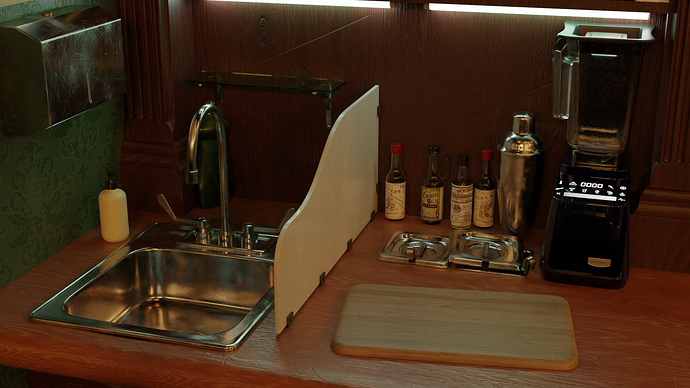 A section of the counter behind the bar in my current project. I am still adding and tweaking. These mini scenes from within the larger environment are helping me to refine my cycles material creation skills.